It would certainly be a test of even the most faithful’s devotion. 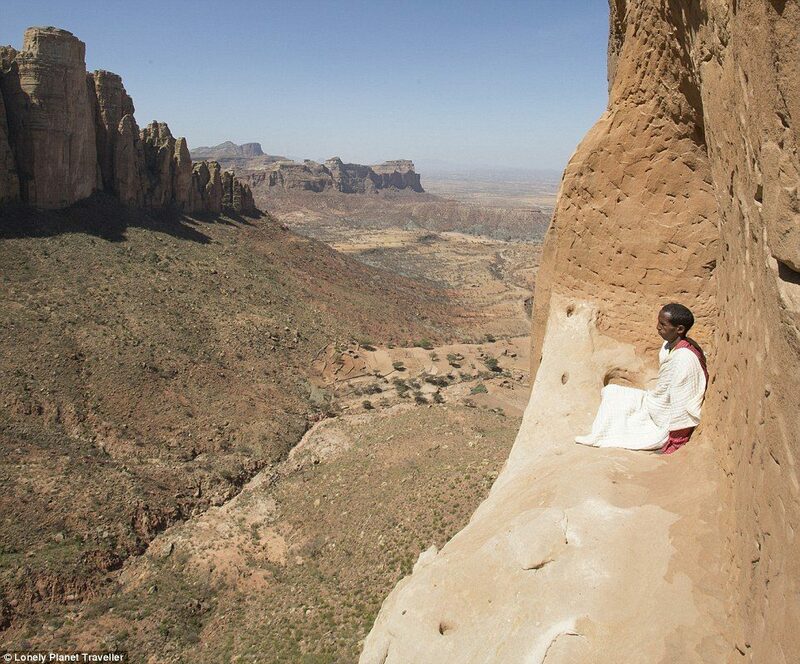 At 2,500 feet, Ethiopa’s ‘church in the sky’ is arguably the most inaccessible place of worship on earth, perched on top of a vertical spire of rock, with sheer, 650 feet drops on all sides. 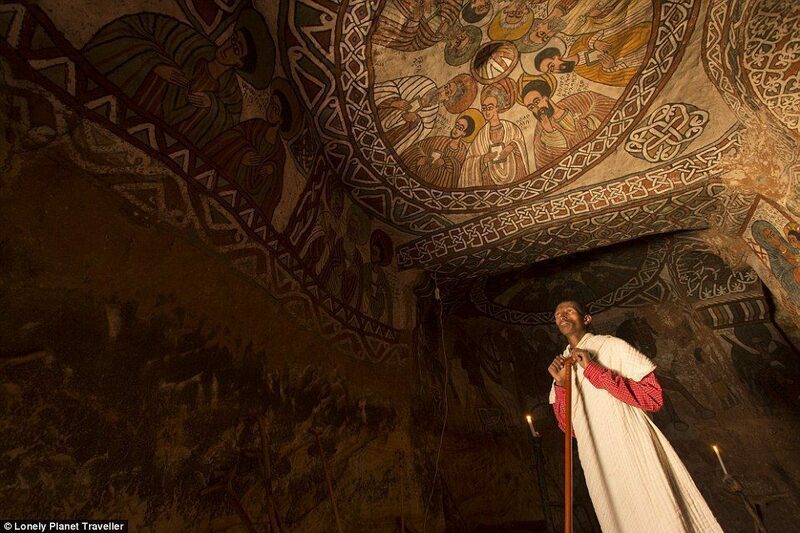 To reach the extraordinary church on a clifftop in Tigray, one must scale a sheer 19 feet-high wall of rock without any climbing ropes or harnesses, inching along narrow ledges and crossing a rickety makeshift bridge. 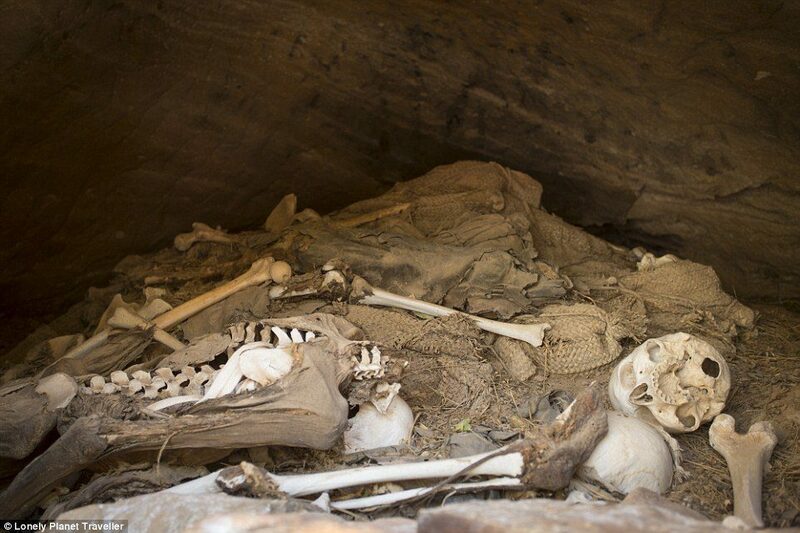 And people are willing to risk the ascent: Families have brought their newborn babies up here to be baptised, and corpses have been carried up to be buried on the mountain. 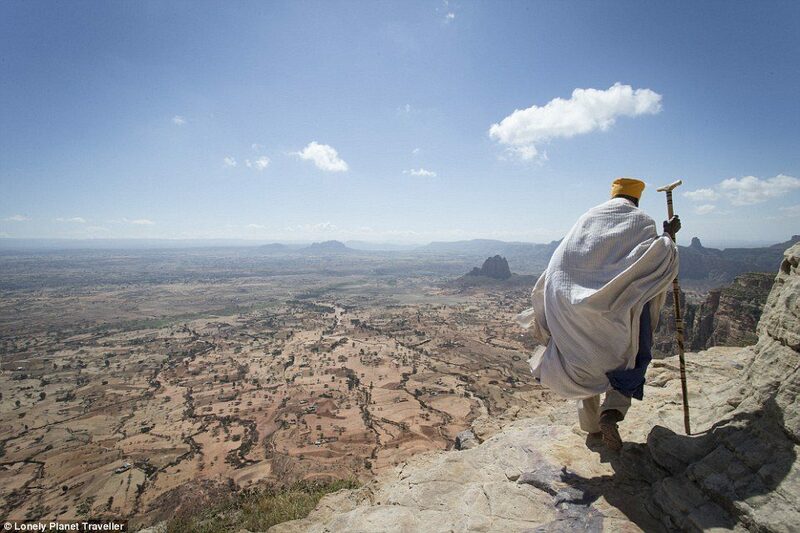 It is said that in 5th century AD Egyptian priest Father Yemata walked to Ethiopia, climbed the mountains and quarried the church out of the rock. ‘Father Yemata, it seems, liked a dose of extreme sports with his divinity,’ writes Lonely Planet Traveller. 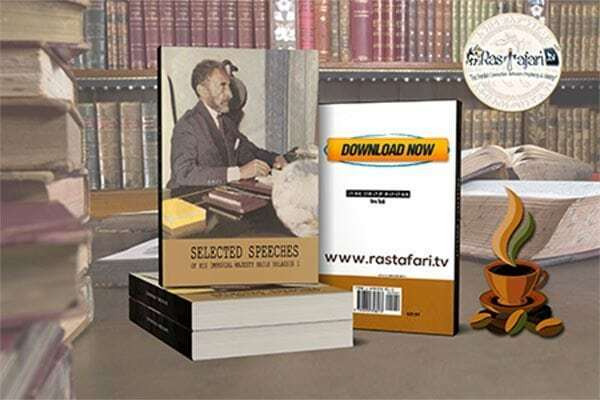 The magazine features the church, Abuna Yemata Guh, in its new bookazine collating the best and most inspiring destinations visited by the publication. 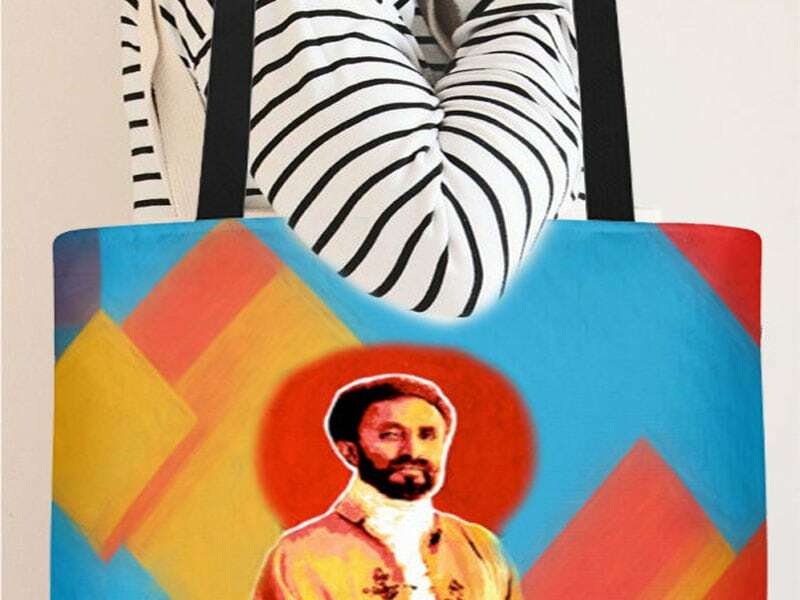 Abuna Yemata Guh has survived for 15 centuries, and in that time ‘nobody has fallen’ on the way up, according to the current priest Kes Haile Silassie. It is not known what motivated Father Yemata to establish his church here. Theories suggest that he simply wished to pray alone in the clouds, while some say he needed to escape raiders. In a video posted on YouTube, the 44-year-old can be seen bracing himself against the rock as a fierce wind buffets him. ‘It keeps you cool, but adds to my nervousness,’ he says, gripping the toe-holds. Inside, frescoes on the roof and walls depict angels and apostles, while candle wax puddles on the floor. Some of the priests at the church have not been down the mountain in 30 or 40 years. Lonely Planet reporter Oliver Smith tells of his own experience climbing to the church in the sky in the bookazine. 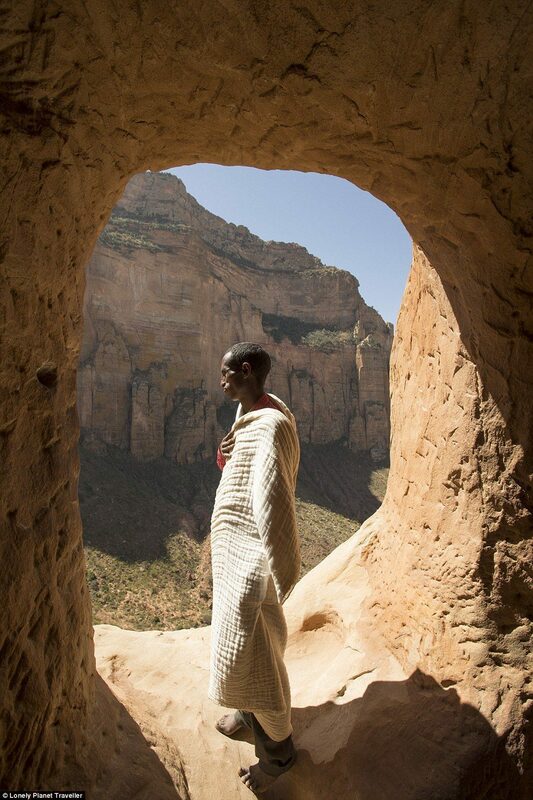 ‘I begin the walk up to Yemata Guh, and views of vast, Old Testament landscapes unfurl to the horizon. ‘Cloud shadows shift across the farmland, and shepherds guide flocks over the stony soil,’ he writes. ‘The adrenaline rush of the climb makes stepping inside the church all the more sublime, your pulse slowing and eyes adjusting to the darkness, watching angels and archangels emerging from the shadows. ‘It is a place of the utmost sanctity and tranquillity. 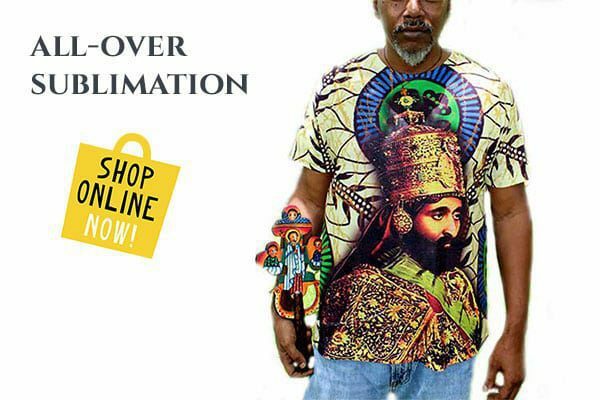 That is, but for one small consideration – taking just three paces outside that same timber door means certain death.’ Ethiopia is home to some of the world’s oldest strands of Christianity – a tradition that traces its origins to the time of the Old Testament.